This guide will help you getup and running with OneFitStop in 8 easy steps. SIGN UP FOR A PRIVATE COACHING SESSION OF THE PLATFORM WITH ONE OF OUR EXPERTS! In order to access or use some features of the Website, you may have to become a registered user. If you are under the age of 18, then you are not permitted to register as a user or otherwise submit personal information without the consent of a parent or guardian. If you become a registered user, you will provide true, accurate and complete registration information and, if such information changes, you will promptly update the relevant registration information. During registration, you will create a user name and password (a "Membership"), which may permit you access to certain areas of the Website not available to non-registered users. You are responsible for safeguarding and maintaining the confidentiality of your Membership. You are solely responsible for the activity that occurs under your Membership, whether or not you have authorized the activity. You agree to notify us immediately at privacy@onefitstop.com of any breach of security or unauthorized use of your Membership. Moreover, any conduct by a user that in our sole discretion restricts or inhibits any other user from using or enjoying the Website will not be permitted. By submitting User Content to us, simultaneously with such posting you automatically grant, or warrant that the owner has expressly granted, to us a worldwide, royalty-free, perpetual, irrevocable, non-exclusive, fully sublicensable, and transferable right and licence to use, reproduce, distribute, create derivative works based upon (including, without limitation, translations), publicly display, publicly perform, transmit, and publish the User Content (in whole or in part) as we, in our sole discretion, deem appropriate including, without limitation, (1) in connection with our business; and (2) in connection with the businesses of our successors, parents, subsidiaries, affiliates, and related companies. We may exercise this grant in any format, media or technology now known or later developed for the full term of any copyright that may exist in such User Content. Furthermore, you also grant other users permission to access your User Content and to use, reproduce, distribute, create derivative works based upon, publicly display, publicly perform, transmit, and publish your User Content for personal, non-commercial use as permitted by the functionality of the Website and these Terms and Conditions.By submitting User Content, you also grant us the right, but not the obligation to use your biographical information including, without limitation, your name and geographical location in connection with broadcast, print, online, or other use or publication of your User Content. Notwithstanding the foregoing, you waive any and all claims you may now or later have in any jurisdiction to so-called "moral rights" or rights of "droit moral" with respect to the User Content. You agree that your access to, and use of, this website is subject to these Terms and Conditions and all valid laws, and is at your own risk. While the information and material contained on the website is believed to be accurate and current, it is provided by One Fit Stop in good faith on an "as is" basis. 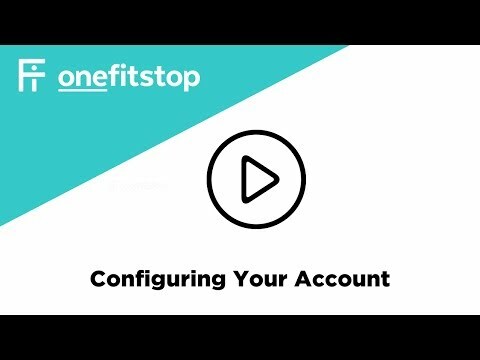 One Fit Stop, related entities of One Fit Stop and the directors, officers and employees of One Fit Stop accept no responsibility for and make no representations or warranties to you or to any other person as to the reliability, accuracy or completeness of the information contained on the website. Any reference to products or services on this website is for information purposes only and does not constitute an endorsement or a recommendation of those products or services by One Fit Stop. Subject to any non-excludable provisions in the Trade Practices Act 1974 (Cth), One Fit Stop expressly disclaims any implied or express warranties or conditions of any kind, including warranties of merchantable quality, fitness for a particular purpose, or non infringement of intellectual property rights relating to information or materials accessible from or on this website. One Fit Stop shall not be liable to you for any damage resulting from use of or reliance on the materials or information on the website or any other loss or damage whatsoever including, but without limitation, special, indirect, consequential or incidental loss or damage (including loss of profits, revenue, production, opportunity, access to markets, goodwill, reputation, use or any indirect, remote, abnormal or unforeseeable loss), or any loss or damage relating to business interruption, loss of programs or other data on your information systems or costs of replacement goods, or otherwise, even if One Fit Stop is expressly advised of the possibility of such loss or damage. To the extent (if any) that the content of the website does not satisfy the laws of a country other than Australia, it is not directed to persons in those countries and they should not use the website.By using this website and agreeing to these Terms and Conditions, you agree to indemnify One Fit Stop and its employees, officers, agents, shareholders and other persons involved in the creation of this website and hold One Fit Stop and its employees, officers, agents, shareholders and other persons involved in the creation of this website harmless against all loss, actions, proceedings, costs (including legal costs), expenses, claims, penalties, fines, expenses, costs and damages arising from or in relation to any breach by you of these Terms and Conditions, your access and/or use or exploitation of the website or reliance on its contents or information received through it by yourself or any person accessing any content through the website and as a result of any use or exploitation by you of any material posted by any third party or any other website, or both. This indemnification includes, without limitation, liability relating to copyright infringement, defamation, invasion of privacy, trade mark infringement and breaches of the Trade Practices Act 1974 (Cth). One Fit Stop will in no way be liable for any direct, indirect, incidental, special or consequential loss or damage (including loss of profits, revenue, production, opportunity, access to markets, goodwill, reputation, use or any indirect, remote, abnormal or unforeseeable loss), resulting from use or inability to use the website or for the cost of procurement of substitute products or resulting from any products purchased or obtained or messages received or transactions entered into through the website or resulting from unauthorized access to or alteration of your transmissions or data or of any information contained on this website, including but not limited to, damages for loss of profits, use, data or other intangible, even if One Fit Stop or related entities of One Fit Stop have been advised of the possibility of such loss or damage.Where any Act of Parliament implies in the Terms and Conditions any term, condition or warranty, and that Act avoids or prohibits provisions in a contract excluding or modifying the application of or exercise of, or liability under such term, condition or warranty, such term, condition or warranty shall be deemed to be included in the Terms and Conditions, however, the liability of One Fit Stop for any breach of such term, condition or warranty shall be limited, at the option of One Fit Stop, to any one or more of the following: 1. If the breach relates to goods:(a) the replacement of the goods or supply of equivalent goods;(b) the repair of such goods;(c) the payment of the cost of replacing the goods or of acquiring equivalent goods; or(d) the payment of the cost of having the goods repaired. 2. If the breach relates to services:(a) the supplying of the services again; or(b) the payment of the cost of having the services supplied again. One Fit Stop is the copyright owner of the content of the website or is licenced by the copyright owner to use the content on the website. Except as permitted by the Copyright Act 1968 (Cth), you must not in any form or by any means: 1. copy, adapt, reproduce, broadcast, store, transmit, distribute, print, publish or create derivative works from any information or material on this website;2. perform in public or transmit in any form by any process (graphic, electronic or mechanical, including further copying, recording, taping or by a storage and information retrieval system) any of the information or material on this website without the specific prior written consent of One Fit Stop;3. alter, decompile, disassemble, reverse engineer or modify any material or information that you receive from this website which can be accessed through this website; or4. use or apply, for commercial purposes any material or information on this website, without the prior written consent of One Fit Stop.Any software which you down load from this website is governed exclusively by the licence terms accompanying the file or the terms of the licence agreement which accompanied the original product licenced by you which you are updating, and by down loading such software you agree to abide the terms of the licence. You must not reproduce or redistribute any software otherwise than in accordance with the relevant software licence.All trademarks, brands and names appearing on this website are the property of their respective owners.Nothing contained on this website is intended to grant any express or implied right to you to use or exploit any patent, copyright, trademark or trade secret information. We reserve the right in our sole discretion and at any time and for any reason, to modify or discontinue any aspect or feature of the Website or to modify these Terms and Conditions. In addition, we reserve the right to provide you with operating rules or additional terms that may govern your use of the Website generally, unique parts of the Website, or both ("Additional Terms"). Any Additional Terms that we may provide to you will be incorporated by reference into these Terms and Conditions. To the extent any Additional Terms conflict with these Terms and Conditions, the Additional Terms will control.Modifications to these Terms and Conditions or Additional Terms will be effective immediately upon notice, either by posting on the Website or by notification by email or conventional mail. It is your responsibility to review the Terms and Conditions and the Website from time to time for any changes or Additional Terms. Your access and use of any of the Website following any modification of these Terms and Conditions or the provision of Additional Terms will signify your assent to and acceptance of the same. If you object to any subsequent revision to the Terms and Conditions or to any Additional Terms, immediately discontinue use of the Website and, if valid, terminate your Membership. We give you unparalleled support for your fitness business, allowing you to focus on what you do best. Encourage clients to share their progress with others. Save, print and email results. Generate session feedback and showcase your skills. Manage your cash flow and track your payment history with proven payment collection tools. Easily create individual payment and session packages. Set daily, weekly, fornightly & monthly debit payments. Monitor, adjust and save your client payment history. Secure PCI-Level 2 compliance ensures payments are safe and on time. Competitive and transparent processing fees. Affordable client payment management with no lock-in contracts. I used to find it really awkward to chase my clients for session payments. It felt terrible to have to beg for money that I had already earned. 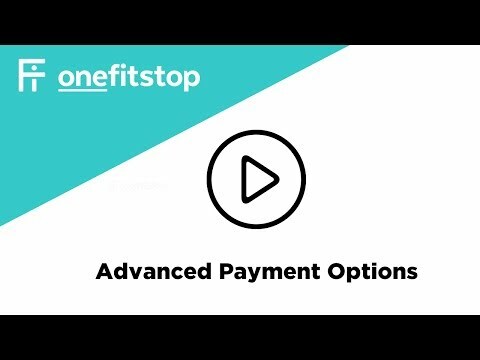 OneFitStop made this so easy with their incredible direct debiting tools!” Carie M., Personal trainer. Get recognized by the right people and take your business further. List your business for free to find clients in your local area. Appeal to a growing community of fitness enthusiasts. Link your social media pages, blog posts and other websites to boost search traffic. Share your knowledge on health, fitness and happiness through articles designed to attract fitness enthusiasts. 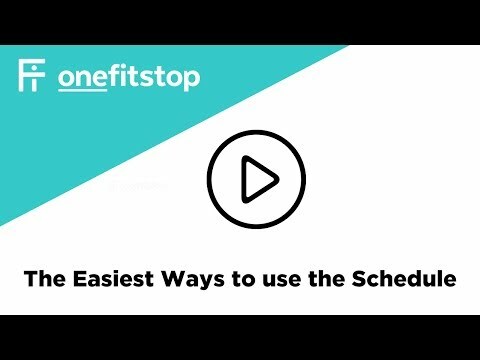 After having to start my fitness business again in a new location, I've found that being on the OneFitStop directory has helped send new leads my way. Plus, by linking up to my OneFitStop account, I didn’t lose my old website or social media pages! ”- James P., Personal Trainer. Promote your specific skills to audiences in your area with our specialised advertisements. Create targeted adverts for upcoming sessions and fill your spots. We do the SEO work for you, providing effective online marketing tools designed specifically for personal trainers. Get contacted and paid by clients directly before your session begins. Ensure clients directly contact and pay you before their session begins. 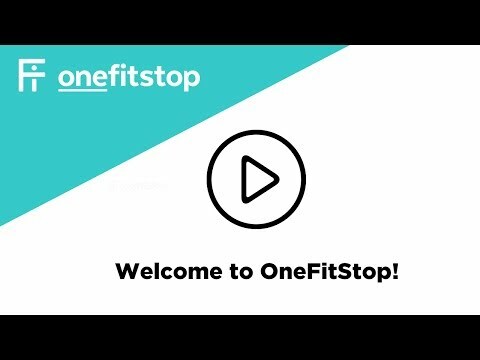 OneFitStop made it simple for me to find new clients in my area with their incredible advertising tools. I can also share my views, availabilities and even write articles for my new clients to read up on when they are lying on the couch recovering from my sessions!”- Kate R., Personal Trainer & Outdoor Fitness Specialist. Purchase quality supplements, equipment, apparel and accessories at wholesale prices. Secure, quick and easy checkout with on time delivery. On-sale products to your clients, ensuring they get the best. Earn commission on-sales when clients mention you at the checkout. I use OneFitStop to buy quality equipment for my fitness business and I earn a secondary income by selling the best branded products and supplements to my clients by using my trainer wholesale account.” - Wayne P., Personal Training Studio Operator. "I made the decision to create a OneFitStop account earlier this year. Since then it has allowed me to communicate with my clients effectively. I can not only plan their training schedule and programs, but manage my invoices and payments with ease. OneFitStop has made my administration of my business easier, allowing me to concentrate on my clients and their needs." "I used to find it really awkward to chase my clients for session payments. It felt terrible to have to beg for money that I had already earned. OneFitStop made this so easy with their incredible direct debiting tools!" "After having to start my fitness business again in a new location, I've found that being on the OneFitStop directory has helped send new leads my way. Plus, by linking up to my OneFitStop account, I didn’t lose my old website or social media pages!" Kate R., Personal Trainer & Outdoor Fitness Specialist. "OneFitStop made it simple for me to find new clients in my area with their incredible advertising tools. I can also share my views, availabilities and even write articles for my new clients to read up on when they are lying on the couch recovering from my sessions!" "I use OneFitStop to buy quality equipment for my fitness business and I earn a secondary income by selling the best branded products and supplements to my clients by using my trainer wholesale account." Payment attempts in descending chronological order. Copyright © 2019 OneFitStop. All rights reserved.